Having the common cold can be such a mental drag. It literally slows your progress all the way down to doing nothing! 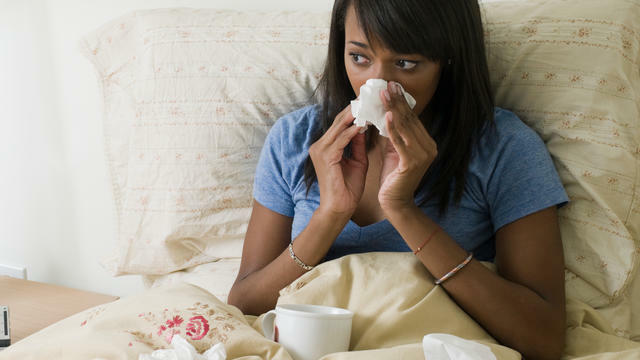 Generally, it starts off with a few sniffles, maybe a headache…and without notice, it knocks the wind out of you. Do you take the day off so you can stay home and rest? Or do you tough it out and go to work? Most times, a cold is just a cold, unless you go to the doctor and they tell you, you have sinusitis or pneumonia or bronchitis. That’s when drastic measures need to be set in place. Let’s nip the common cold in the bud before it begins to take control of you by drinking ginger tea this cold and flu season. I purchase raw ginger from the grocery store. Each day, I peel the ginger root and boil it for 10 to 15 minutes. I pour the contents from the pot to my thermos, and add a few pieces of the ginger inside my thermos, with a teaspoon of honey. As we often use styrofoam cups in the court, I will pour myself a cup of ginger tea and sip throughout the day. With the extra pieces of ginger still inside the thermos, I will make myself more hot water when my tea is done. Even if the potency is not as strong, I will still have the gingery taste and the steam to soothe my throat. You can also add lemon or peppermint to your ginger tea, all effective for soothing the throat. While this appears to be a simple hot beverage, the ginger has so many benefits that should make it the first choice in cold and flu season, and onwards. It serves as a natural booster for the immune system. The ginger warms the body, and with the high levels of antioxidants in the root, it helps break down the levels of toxins in the organs. Thus, ensuring that the body is not as susceptible to infections, especially in the respiratory system. For additional benefits, the ginger relieves menstrual discomfort, relieve stress, improves stomach performance, reduce inflammation, and fight respiratory problems. Therefore even when you’re not sick, the ginger tea is still an all around effective remedy for ailments. As we are in the full swing of winter, gear up with your ginger root, lemons, honey, and peppermint. 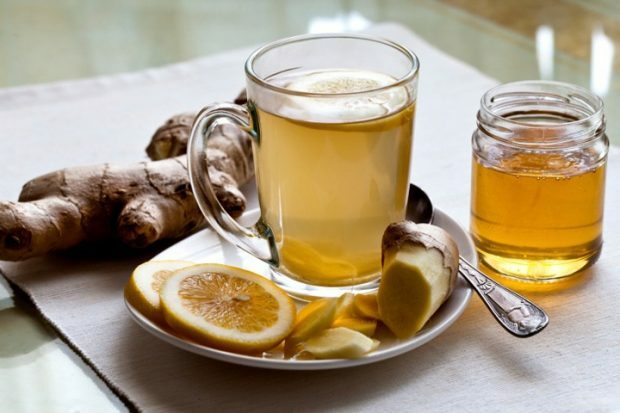 Be prepared to fight this cold and flu season with your hot ginger tea. The benefits are numerous.